Business-Ideas-Connection Biz Buzz Ezine brings you valuable up-to-date information on identifying your business ideas, tips for getting started, and other cool information to help you grow your business. 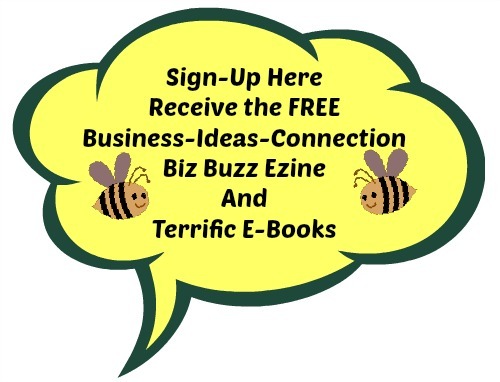 When you sign-up to receive the Business-Ideas-Connection Biz Buzz ezine, you receive the ebooks below. It's FREE and easy! Fill out the form and you'll gain access to our members-only area where you can access the e-books. Read them on your computer, tablet, or print! NOTE: After completing the form, you'll receive a Thank You email which will ask you to confirm the address given. This is done for your privacy to make sure someone else did not submit your email address without your knowledge. Clicking on the confirmation link in the email will produce a second confirmation email. The link in this email, takes you directly to our members-only area where you can access the ebooks listed above. By completing the form above you will gain valuable information from Napoleon Hill's "Think and Grow Rich" along with my new "Find Your Passion2.0!" ebooks. In addition, you'll also receive, the Business-Ideas-Connection "Biz Buzz Ezine", my free newsletter where I share current business tips, techniques, and resources to help you identify the business that is a perfect "fit" for you and topics which allow you to build a successful business. Business-Ideas-Connection Biz Buzz Ezine to Top Home Based Businesses . . . 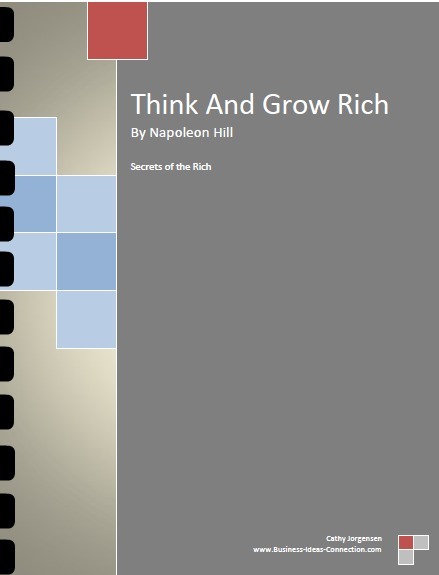 This 1937 version of this fabulous e-book explores the journey and habits of the wealthy on their way to success! !